Diet What is it? How it works? 5:2 Eat normally for 5 days and fast for 2 days. Consume food that has 500 calories (women) and 600 calories (men) on fasting days. Atkins Low-carb, high-protein weight loss program Eat >20g of carbs in Phase 1 and continuously increases carbs while losing weight. This diet is for lifetime weight loss. Dukan Low-carb, high-protein diet Phase 1 of the diet bans carbs except oat brans; and vegetables. The next three phases slowly introduce some fruit, vegetables and carbs into the diet. Paleo Consists of foods that can be hunted and fished Eat less processed food (wheat, dairy, refined sugar, potatoes and salt) and more fruits and vegetables. Alkaline Cut down food that produce too much acid 80/20 rule: 80% fruit and veg, 20% grains and protein. Cut down meat, wheat and other grains, refined sugar, dairy products, caffeine, alcohol and processed foods. Cambridge Based on buying and eating a range of meal-replacement products Just snack bars, soups, porridges and shakes as source of nutrition. Weight Watchers A calorie-controlled diet with ProPoints allowance No limit on the amount of fruit and veg providing stick to the point’s allowance. *ProPoints: gives a value to foods and drink based on protein, carbs, fat and fibre. Rosemary Conley Combination of low-fat, low-GI diet with regular exercise Follow her recipes or buy from her range of calorie-controlled ready meals and snacks. Eat food 5% or > fat, with exception of oily fish, porridge oats and lean meat. All of the diets on the table originated from Western countries, which have different tastes from Asian countries especially in Malaysia due to the difference in the staple food. For example, if you apply low-carb diets, it avoids Malaysian staple food such as rice, noodles, bread and pasta. 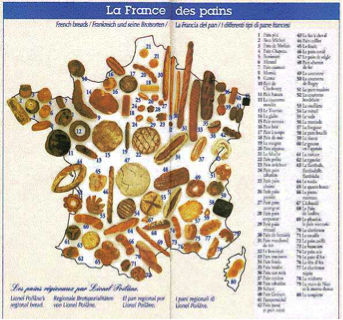 To illustrate further, the images above are the depiction of food from America and France to which low-carb diet seems more feasible. 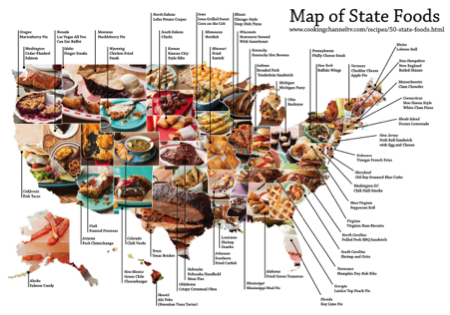 Even if Americans or French do not consume rice, they are able to substitute carbs with proteins such as turkey, tuna, salmon, or cheese. Next Post Half of Malaysians Are Obese!